A Tuesday afternoon traffic stop led to the arrest of three women on a variety of criminal charges. Elk Grove Police officers stopped a vehicle driven by 33-year old Panam Kathern Holani (pictured above) of Elk Grove near McKenna Drive and Elk Grove Boulevard for a code violation. 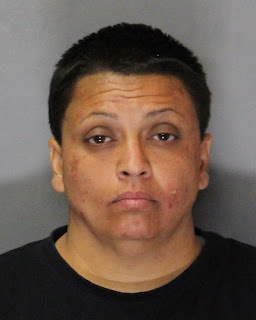 A records check revealed that Holani and one of her passengers, 43-year Savitri Devi Nambiar of Sacramento were on probation, and a third passenger, 36-year old Heather Lynn Swindle of Sacramento, initially provided false information about her identity. A record check revealed Swindle's true identity and that she had an outstanding arrest warrant. 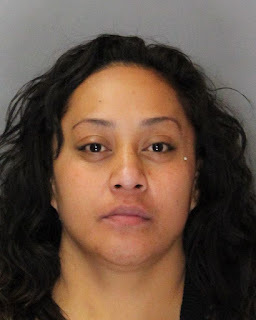 A search of the vehicle led to the discovery of blank checks, credit/debit cards, mail and other items with personal information not belonging to the suspects. 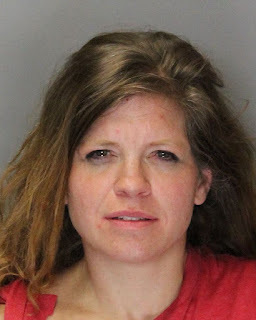 All three suspects were arrested and booked into the county jail where they are all being held on a variety of felony and misdemeanor charges. The trio is scheduled for arraignment of Thursday afternoon.